– Wolfman Pizza has re-opened in its new location. – McDonald’s is scheduled to open in mid-March. – Outdoor acoustical musical entertainment on the 9,000 square foot courtyard plaza weekly on Saturdays will begin April 6th and run weather permitting until September 28th. CNL Crosland Commercial Real Estate’s vice president of leasing, Gwen Glaeser, announced that Umai Sushi & Asian Bistro has signed a lease for 3,305 square feet in the new Quail Corners courtyard. The 100–seat bistro is expected to open in third quarter 2013. The restaurant will feature a large sushi bar and patio. The owner, Huy “Ricky” Zhao is a seasoned restaurateur and looks forward to providing fresh Japanese, Chinese and Thai favorites to the South Charlotte area. “We wanted to fill a void in the Asian category that is so beloved by neighbors and we wanted to fill it with somewhere you can get great sushi as well as your Chinese favorites,” said Glaeser. Flour Power Kids Cooking Studios will open its first Charlotte location, a 2,015 square foot studio, in July. 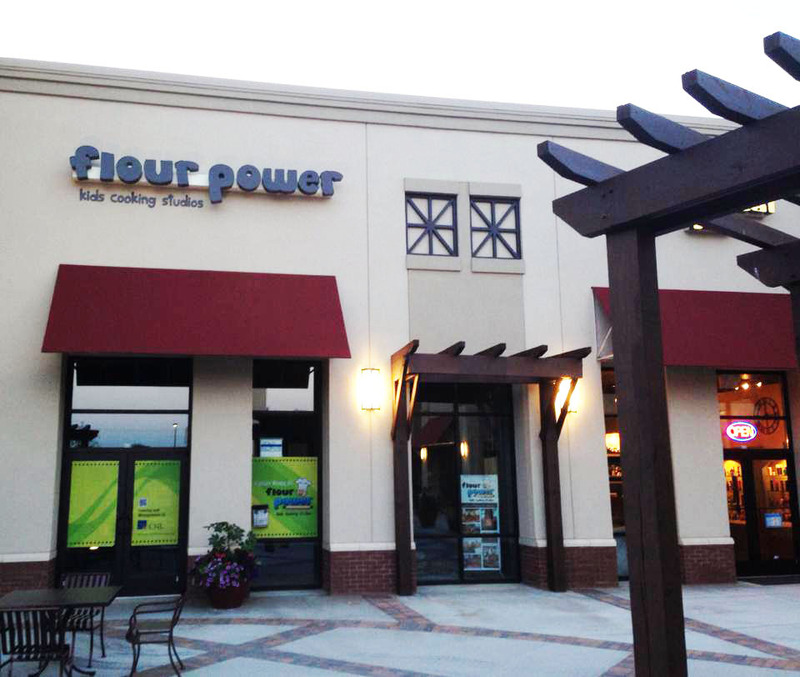 Having operated for 5 years in Raleigh in North Hills, Flour Power saw an opportunity to expand to the Queen City and wanted to be in a similarly desirable area. Flour Power offers weekly classes on weekends and after school on weekdays from ages 3 to Adult. They also plan to host “Kids Night Out” Events for ages 5-12 on Friday evenings starting August 9th from 6pm to 8pm so parents can enjoy a nice adult meal at other Quail Corners restaurants. Saturday and Sunday afternoons will be reserved exclusively for Birthday Parties. Master developer, Crosland Southeast, has announced that the site work including parking reconfigurations and façade renovation is complete at Quail Corners. Construction also has been completed on the 9,000-square-foot open-air plaza, tripling the amount of area for outdoor dining and entertainment. In addition to the center’s improvements, a pedestrian refuge was installed in the middle of Park Road at the Hamlin Road intersection. It is similar in style to the pedestrian refuges on East Boulevard in Dilworth. The Quail Corners redevelopment architect is BB+M Architecture. Civil engineering and landscape design is by LandDesign. The general contractor is Myers & Chapman. Today, Crosland Southeast perpetuates excellence with its emphasis on retail acquisitions, advisory services, single-tenant development and the development of high-quality retail and mixed-use projects. The team is currently developing such projects as Stonebridge in Richmond, VA, which was named Virginia’s Best Public/Private Partnership of 2012 by the Virginia Business publication, the final phase to the 260-acre Blakeney development in South Charlotte and a very active single-tenant build-to-suit pipeline. During their careers, the executive team has developed more than 24 million square feet of retail space.